Ever wonder what is happening in the interior design industry that is giving us all hope and making us excited for the future of design? 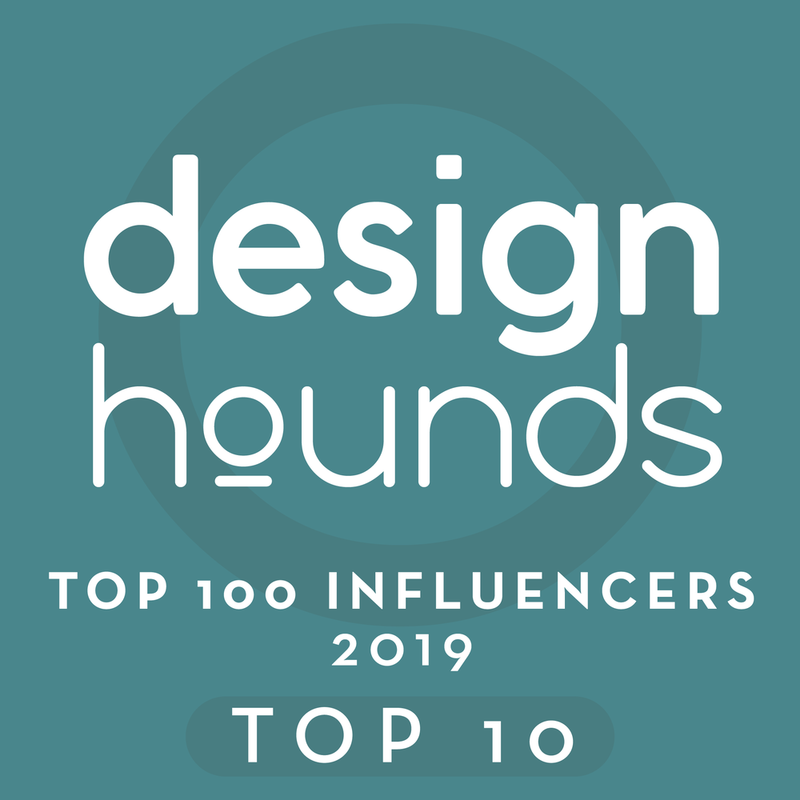 It is how many designer/brand collaborations are going on now and how they are growing into a real trend for product development and selling products for the home. I first published a post about Cosentino’s designer/brand collaborations a few years ago. I brought up many good points (if I say so myself :-) about how these are truly win/win scenarios. When I was in Chicago recently, with Monogram Appliances, we took a quick tour of the Mart and wandered into the gorgeous showroom of Exquisite Surfaces. Tile is my weakness and I hit up several high end showrooms that had oooooodles of wonderful tiles to drool over and see in person. The showrooms we have here in Houston are smaller and to see all their selections in person, instead of from my computer screen, was a real treat! First of all, I Ioved the showroom’s design aesthetic, because the firm, Commune Design, designed it. It was warm, woodsy, earthy, a perfect backdrop for their surfacing products, tile, stone, wood, etc. This wall of concrete tiles particularly intrigued me. Each tile pattern was designed by a different interior designer for their product line. There are over 20 patterns, all unique. You can see how they are made here, in the video under “Process”. A collective group of designers just means brands get more exposure. While there have been designers who design products for brands for many years, I love this idea of a “collective”. A group of designers would not put all the emphasis on one or two big-name designer celebrities, but on this larger, more diverse assemblage, that could ultimately have amazing reach into their own projects and then through their own community of fans, clients, and social media followers. Imagine the broad product offering you could build with a community of designers in your back pocket, ready to give input, share expertise, and promote your brand. When I was at Highpoint, two showrooms I visited had invited a group of designers to design some spaces or vignettes for display. What a hit! The party at Alden Parkes was a big success, full of buyers and designers, celebrating the beautiful “Showhouse in a Showroom” spaces. Seven designers had created these rooms for Alden Parkes, just before market. Jeanne Chung of Cozy, Stylish, Chic was one of the designers featured in this showroom. Jeanine Hays and Bryan Mason of Aphro Chic was another to design some rooms. All had different looks and used the Alden Parkes showroom as their canvas to paint their own design aesthetic. Another showroom that was so fun to see, and I visited JUST to see these vignettes, was the Replacements, Ltd. showroom. Traci Zeller designed this lovely dining table display that used their products. She teamed up with Pagoda Event Design to do the flowers for the table. Gorgeous! The more collaborations, the better! This space below, in the Replacements, Ltd. showroom was designed by Madcap Cottage. I’m always a fan of plates on the wall. This dining room, designed by Jonathan Savage, had a fabulous equestrian theme. Even the wallpaper played into that vibe. This all reminds me of the window display I did for MAI, Memorial Antiques and Interiors, here in Houston, a few years ago. Similar idea, but local. I also designed this space for Simpson’s Gallery, just before one of their live auctions. It was so fun to check out all their interesting pieces. You can see how these collabs are good for designers and brands. I hope even more are coming…..